Find out dates and fees for the Overseas Teacher Edinburgh Erasmus Plus courses. The training centre in Edinburgh is fully registered with a PIC number. Teacher Training Edinburgh, United Kingdom. See information about the training centre in Scotland. Find accommodation for your studies. 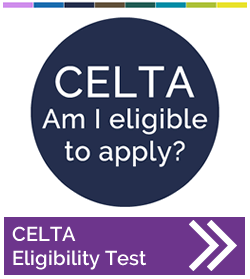 CELTA courses Edinburgh, United Kingdom offered by StudyCELTA. CELTA is the most highly recognised TEFL course worldwide by employers.